Physical therapists are there to help those who suffer mobility issues due to a disease or injury. They can prescribe exercises, massage, heat and other tools to help patients regain movement in arms, legs, the back and neck. Most physical therapists do what they can to hold onto their license. After all, they have spent a significant amount of time and money to obtain certification. Some physical therapists, on the other hand, do not take their license seriously. They may take advantage of patients by touching them inappropriately. Others may engage in criminal acts, causing their license to be at risk. Unethical issues can happen in the physical therapy field, leading to license suspension and revocation. Here are some issues that physical therapists should be aware of in order to avoid legal ramifications. Touching a patient inappropriately is unacceptable. It is important to get consent before touching any body part. Engaging in a sexual relationship with a client—even with consent—is also not allowed. Even inappropriate speech and gestures can be considered misconduct. Fraud is common in the medical industry, particularly when it comes to billing. Physical therapists will unbundle services or charge for services not rendered for a higher reimbursement and then feign ignorance. Misrepresentation can also occur, with some therapists sporting fake degrees. As a physical therapist, you should document everything. If a patient claims you did something wrong, and have no documentation showing what you did, you won’t have any evidence to back you up. Drugs and alcohol are never acceptable in the workplace, and a physical therapist’s office is no exception. These substances can impair judgment, and patients should not have to subject themselves to incompetent physical therapists. Physical therapists should not be prescribing medications. Even something as seemingly innocent as recommending Tylenol for pain can contradict other medications that the patient is taking and cause serious side effects. Physical therapists cannot choose their patients. They must not discriminate against clients based on their age, gender, religion or race. Instead, everyone must be treated the same, with no bias. Each culture is different, so this is something physical therapists should be aware of. Tattoos and piercings are common in some countries and should not be mocked. While many physical therapists are professional when dealing with patients, some abuse their license and engage in unethical practices that cause physical and emotional harm to clients. This can lead to administrative actions that can result in harsh penalties, not excluding license loss. If you are a physical therapist facing legal issues, you need help right away. Ignoring the problem only makes it worse. Let The Law Offices of David P. Rankin, P.A. assess your case. 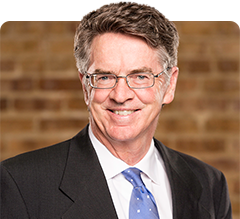 David P. Rankin boasts more than 30 years of experience helping Florida physical therapists and other licensed professionals keep their licenses. Fill out the online form or call (813) 968-6633 to schedule a consultation.